NEWSLETTER: BEWARE OF AI ASSISTANTS & GOOGLE PIXEL SMARTWATCH IN WORKS? A group of researchers at University of California, Berkeley published that they can send hidden commands to virtual assistants like Siri, Alexa, and Google Assistant. It’s been around 2 years, researchers in USA and China have been trying to play with virtual assistants. In 2016, they started practicing to how to embed and send hidden commands, which are inaudible to human hear but could be heard by a virtual assistant. Back in 2016, by the use of Artificial Intelligence, they showed that smartphones and speakers could be hacked. When the user is not using the device, it could be used to open a website or even for dialing a call. Earlier this month, researchers University of California, Berkeley issued a research paper, which says that they could insert commands directly into recordings of music or spoken text. So, when an individual is listening to some music on Amazon Echo Speaker, it might hear an instruction to add something to the shopping list. Nicholas Carlini, a fifth-year Ph.D. student in computer security at U.C. Berkeley and one of the paper’s authors said, “We wanted to see if we could make it even more stealthy”. WHAT AMAZON, GOOGLE, AND APPLE HAS TO SAY? Earlier, Amazon stated that they don’t disclose specific security measures. But, the essential and preventive steps have already been taken to ensure Amazon’s Echo Speaker is safe and secure to use. Whereas, Google, on the other hand, stated that their Assistant is under ongoing process and it has features to avoid inaudible commands. Apple also ensured the same, that its smart speaker, HomePod, has a feature, where it will be able to prevent hidden and undetectable commands. Nevertheless, this news has raised even more questions and trust issues regarding AI assistants. Google is going to be launching several hardware this year, which includes Pixel 3, Pixel 3 XL, second-gen Pixel Buds, and will also introduce a Pixel-branded watch. According to reports, Google will be launching three wearables along with the Pixel phone and Pixel buds this year in October at the annual hardware event. The three wearables are reportedly dubbed as ‘Ling’, ‘Triton’, and ‘Sardine’. These wearables will be based on and will be powered by Qualcomm Snapdragon Wear 3100 processor. And also, will have more battery life and features as compared to other smartwatches. 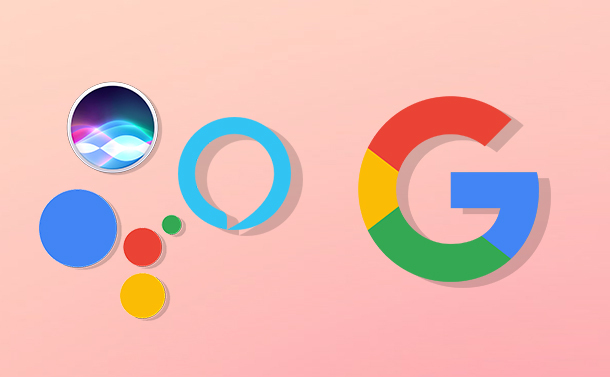 Recently, Google at the I/O Developer Conference revealed about the latest version of their WearOS, which can be expected in new Google Pixel Smartwatch. Ripple: Surging Ahead Of Bitcoin!